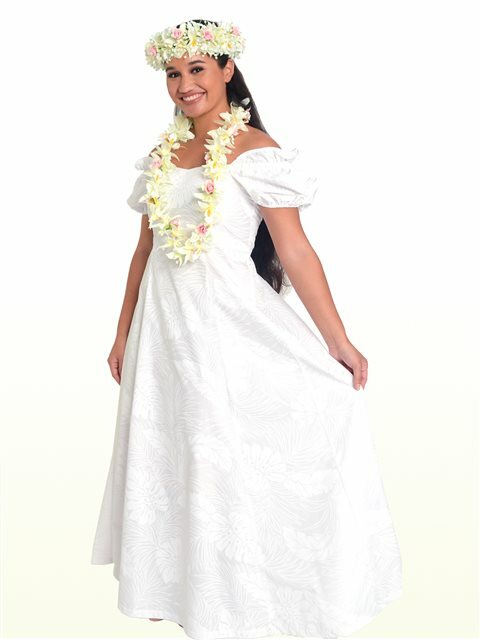 Holoku Dress that will impress on stage. The high waistline emphasizes a glamorous silhouette regardless of waist and hip size. *Please select a solid (or same print as the dress) for the Holoku portion.